Today is National Holocaust Day in the United Kingdom which has been remembered on this date since 2001. Today also marks 70 years since the liberation of Auschwitz by Russian troops. The anniversary of the liberation of Auschwitz was the date chosen with which to mark this event, as is the case with other Holocaust commemorations events around the world. The world and history knows the ‘general’ story of the some six million Jewish victims of the largest act of genocide ever committed, without getting caught up in some of the specifics right now, in honour of this occasion, 70 years from when some of the first Jewish people were freed from Nazi tyranny by Allied forces I thought I would make mention of two of London’s memorials to these victims of Nazi persecution. 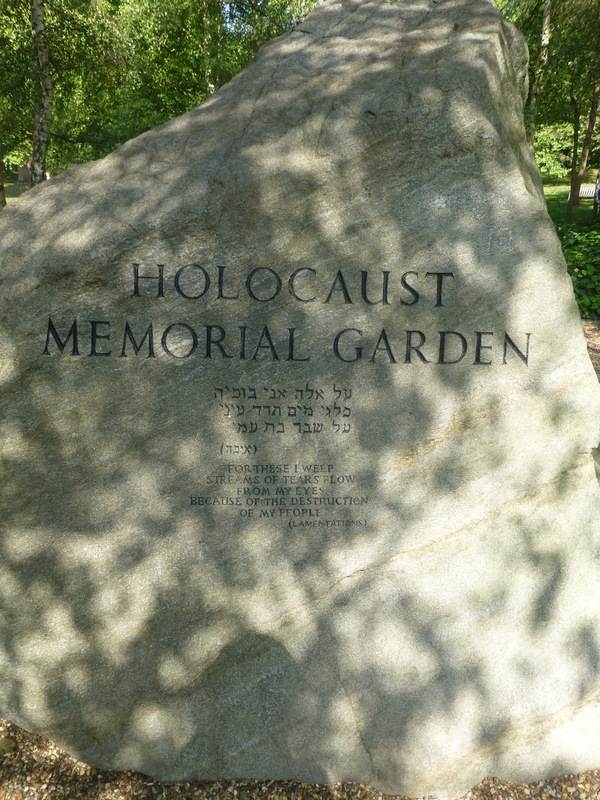 The Holocaust Memorial Garden in Hyde Park unveiled on 28th June 1983 was the first public memorial in Great Britain dedicated to victims of the Holocaust. 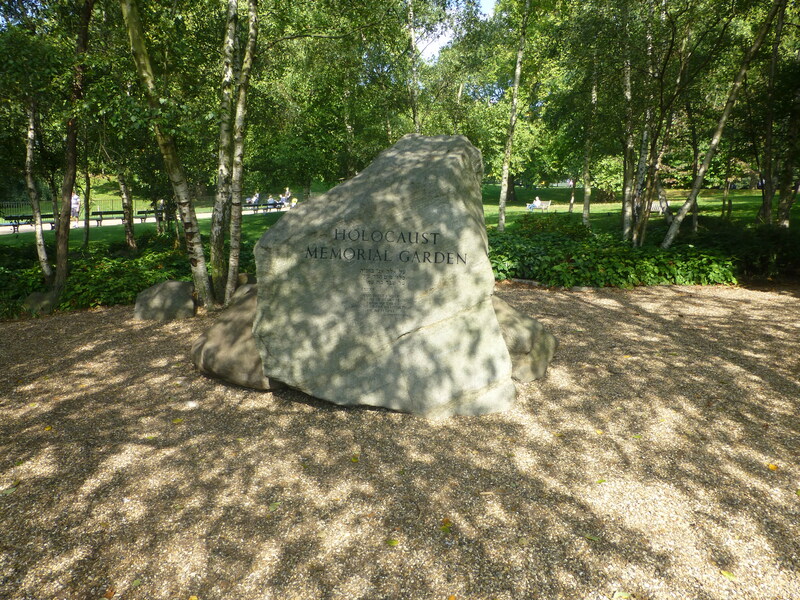 The memorial garden consists of two boulders resting on a gravel bed, surrounded by silver birch trees. It is inscribed in both Hebrew and English with the words “For these I weep. Streams of tears flow from my eyes because of the destruction of my people”. 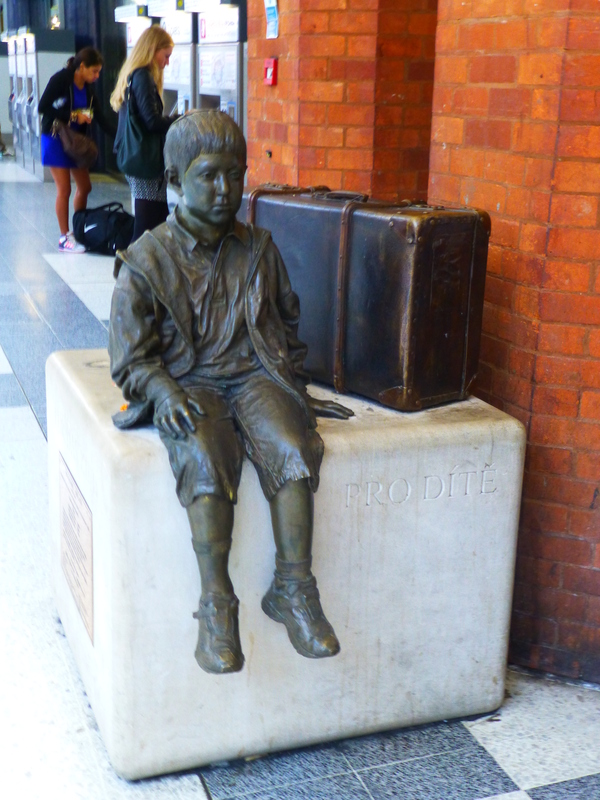 At Liverpool Street Station there are two memorials to the Holocaust. 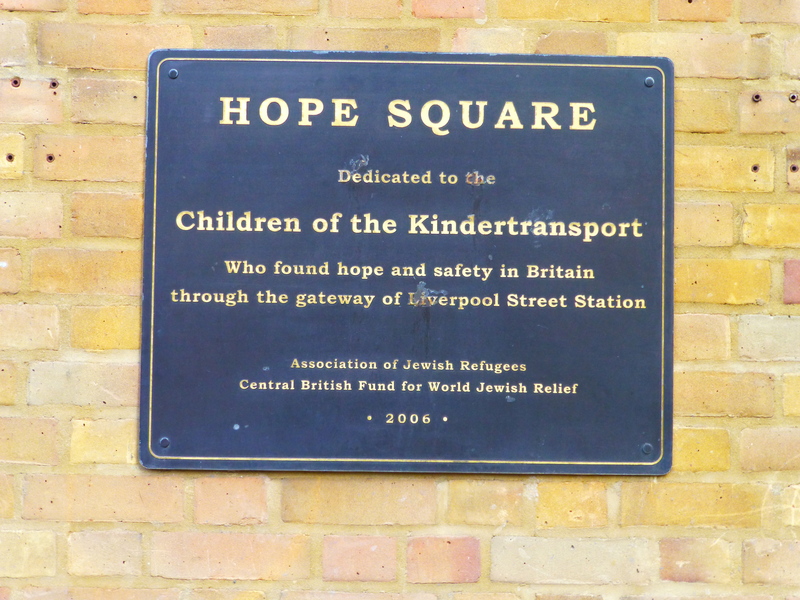 The first being Hope Square at the Liverpool Street entrance to the station and the second being in the main station concourse. 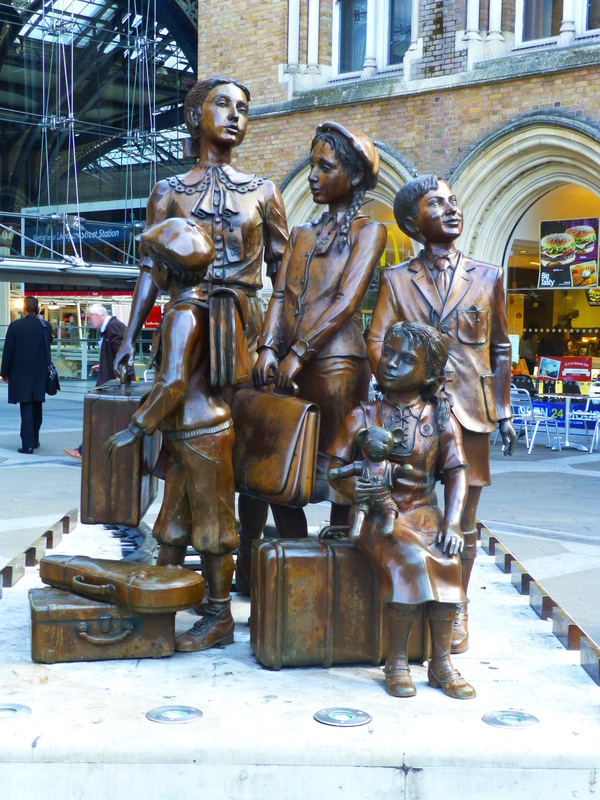 Both of which are dedicated to those young children who escaped Nazism and the worst of Jewish persecution through the Kindertransport mission. This was a rescue mission during the 9 months preceding the outbreak of the Second World War. 10,000 predominantly Jewish children from Germany and the occupied territories of Poland, Czechoslavakia and Austria were saved. In many cases these fortunate ones granted refuge were the only members of their families to survive the Holocaust. 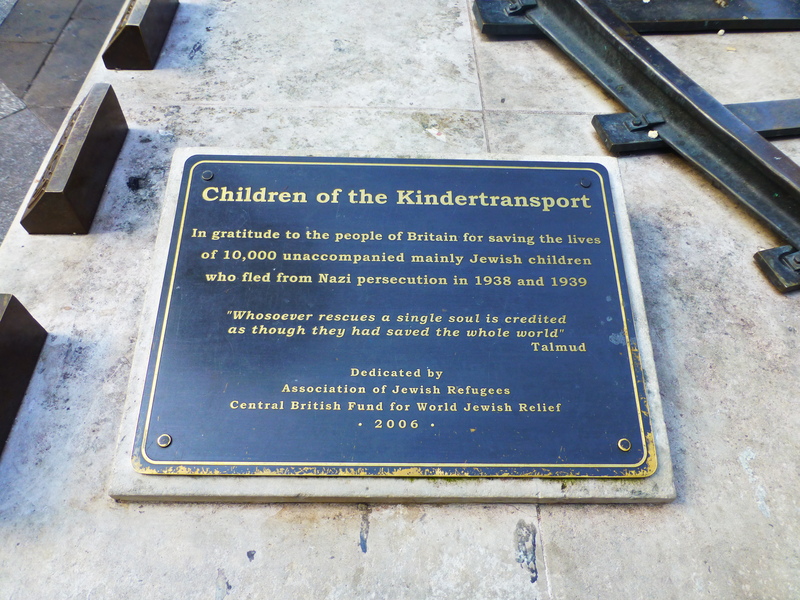 Liverpool Street Station was the initial and principle stopping point for many of these children arriving from the Hook of Holland, which is the site of London’s Kindertransport memorial. Either side of the train tracks which carry the children are the names of some of the principle towns in which children were evacuated from. 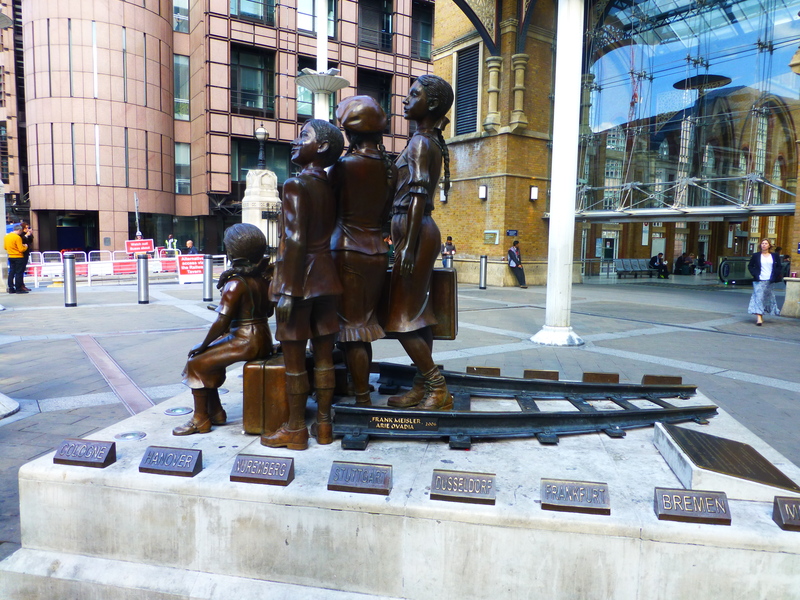 This second memorial inside Liverpool Street Station is dedicated to The Quakers who were responsible for initiating the programme and campaigning to British Parliament to change legislation in order to accept the refugee children into Great Britain. Great post man! Thanks for writing this piece and sharing with us! Thanks. Important people never forget.